The North Oxfordshire office, whose service has been described by one client as being ‘the best’, was established by Graham and Elaine Holtom in 2013. Their philosophy is simple; to provide a service which enables older people to live independently in their own homes for as long as possible, while improving their quality of life. 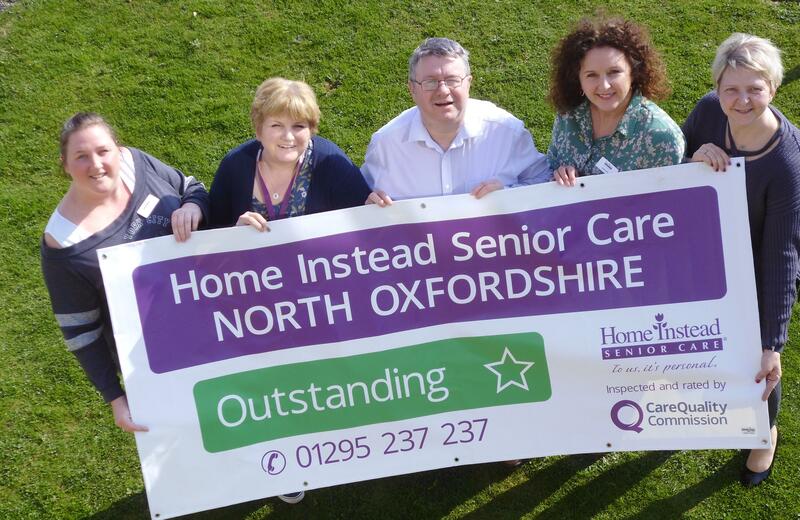 Home Instead Senior Care North Oxfordshire joins a very select group of companies as only three per cent of adult social care providers have achieved this rating since the introduction of CQC’s Ofsted-style approach to inspection and regulation in 2015. Speaking about the outstanding rating, Graham said, “Elaine and I could not be more pleased with the outcome. Our care services are very different, and we take a unique approach.